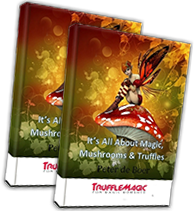 Trufflemagic - Fresh Truffles & Grow Kits Is my grow kit contaminated? FAQ / Is my grow kit contaminated? A contamination is caused by an impurity in the air or on your hands. It can happen when you touch your grow kit with your bare hands, but also by the air. Fungi are all around you, always. In the air, on the ground, everywhere. To reduce the chance of contamination, you should wash your hands and keep the environment of your room clean. Identifying a contamination isn’t hard. Normally, the mycelium of your kit is white. Any other colour can be a contamination. If your kit smells bad, it is surely contaminated. Blue/Green: The mycelium on your kit has been bruised. This is not a contamination, and your kit will grow without any issues. Lightyellow: Older kits can get a yellow glow. They are not contaminated but just stored for too long or not under the correct circumstances. You should start growing this kit right away, because keeping the kit longer will cause lower yields. 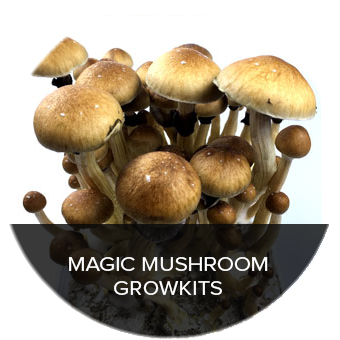 A contaminated Magic Mushroom growkit. Locally discolored into pink. Smelly too! 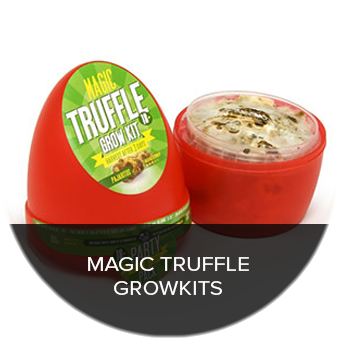 A bruised Magic Truffle growkit. There is nothing wrong with this kit. Any other colours like pitch-black and pink or orange should be considered contaminated. 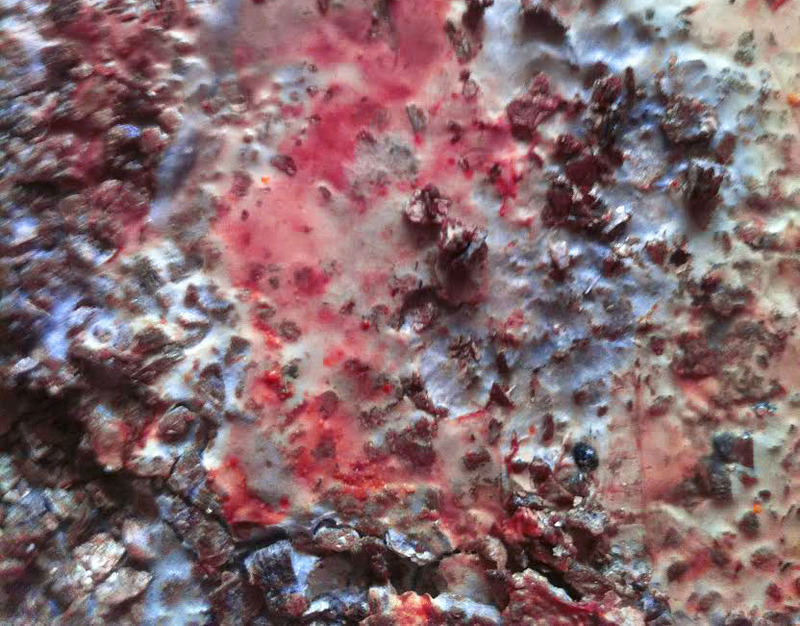 A contamination is something to avoid, but it can happen to the best of mycologists. If you’re unlucky and something bad is in the air, it could happen. If you have multiple kits growing, and one is contaminated, then remove that kit at once! The others can get infected easily. Sometimes there is green mold on it, that’s trichoderma, and is a common contaminant. 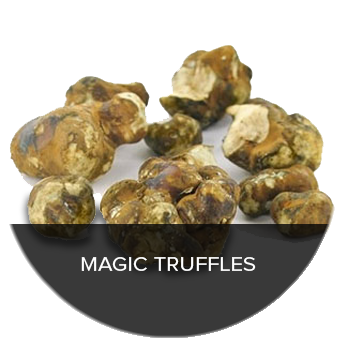 It is found in soil and all over the world naturally. 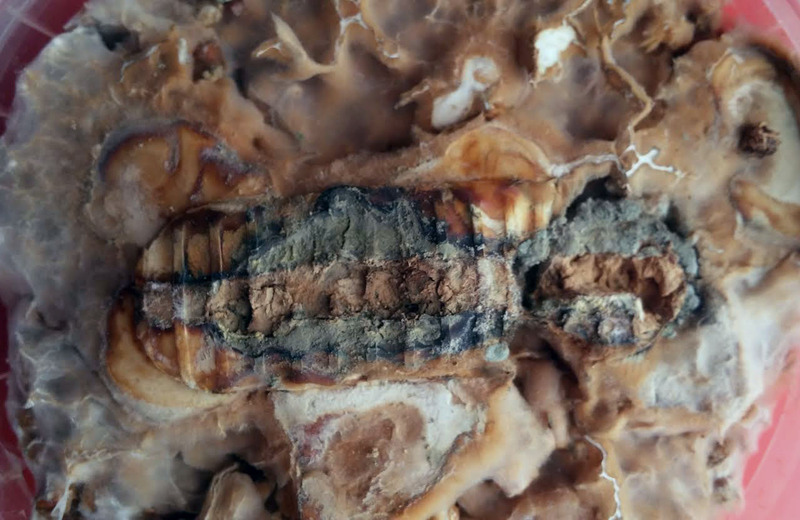 It can cause complications with substrates and casings, but is relatively harmless to humans. I would harvest what’s there, and toss that entire container. Clean your room up wel.